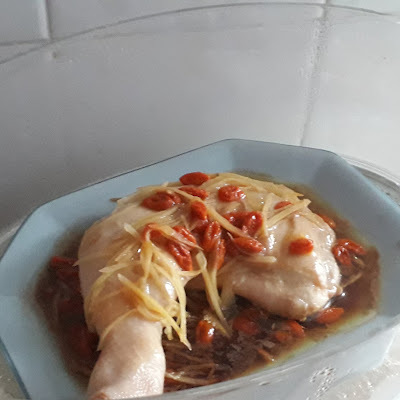 Accidentally click on this easy chicken dish recipe on You-tube over the weekend. The simplicity attracted my attention. Being home alone, with the needed ingredients in hand, I wasted no time to prepare this dish for dinner. Save a trip to the food outlet to fill my tummy, hehehe! Instead of serving with rice, I had this with blanched fresh flat noodles [koay teow]. 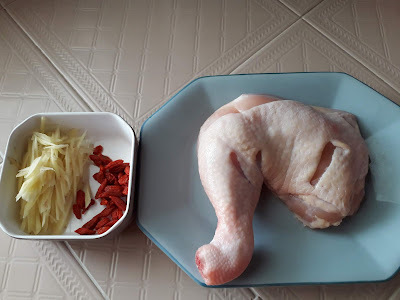 Lovely noodles with tasty whole chicken leg. 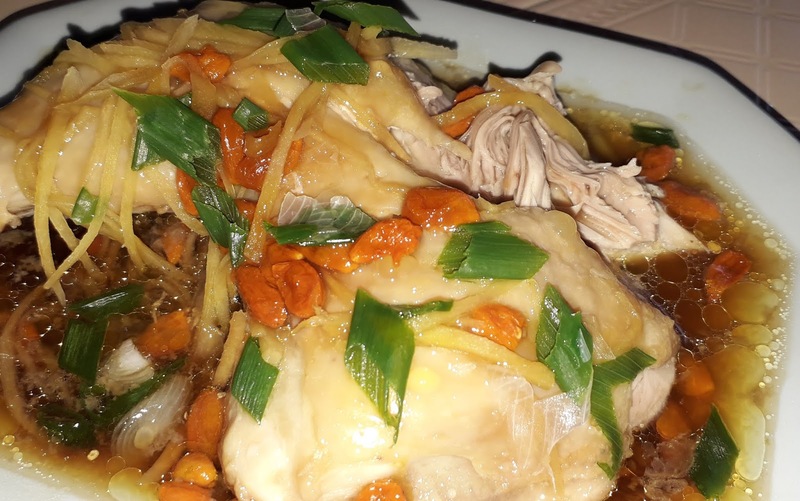 The chicken is succulent and tender with the familiar Chinese food aroma. 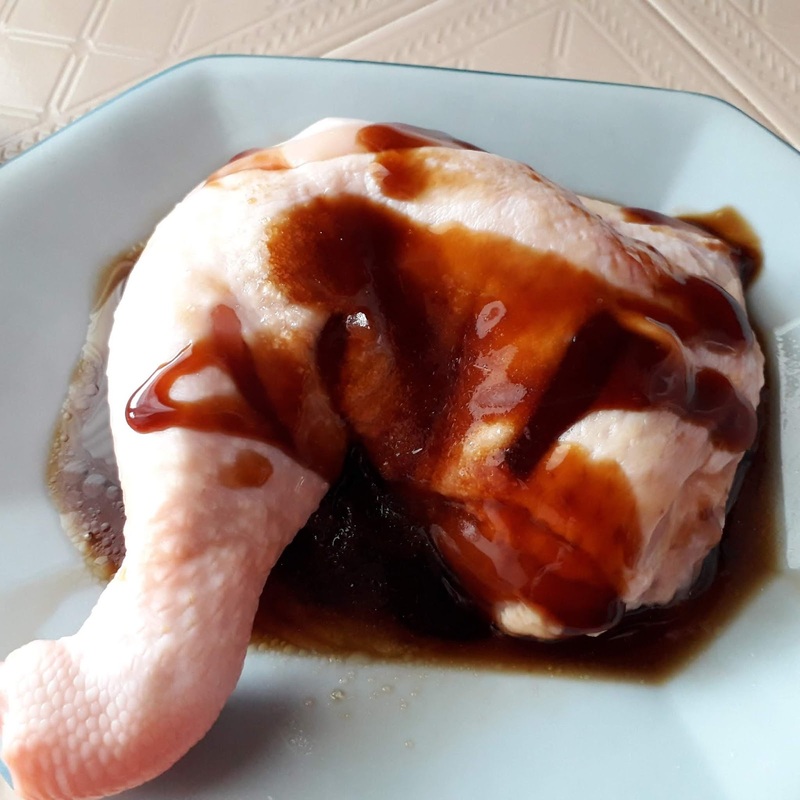 Combine marinade and season chicken with it for at least 30 minutes. 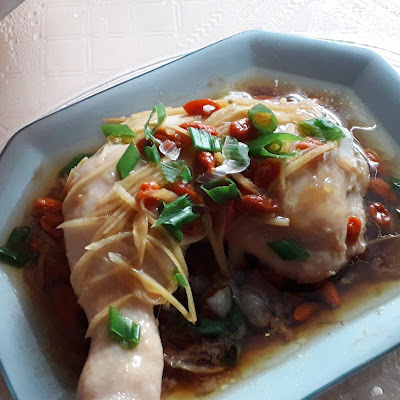 On steaming dish, arrange some shredded ginger on the bottom and top of chicken pieces. Top with wolfberries. Cover with cling wrap and leave in the fridge. Steam chicken over medium high heat for 20-30 minutes or until cooked through. Removed and garnish with chopped spring onions or chopped coriander. 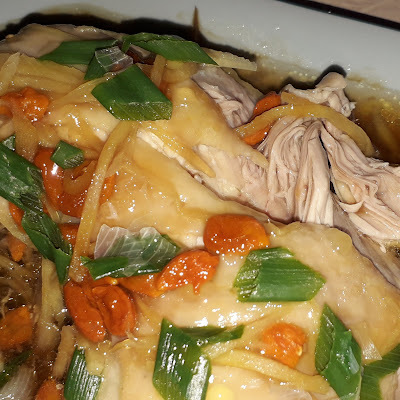 Serve with rice or blanched noodles.